To secure the partnership, Verge crowdfunded over 76 million XVG (worth over $4.7 million) from its users, claiming it would reveal the name of the mysterious company on March 26 after the goal was met. Once 76 million XVG hit its donation wallet, the date was postponed to April 16. Its crowdfund initiative even saw the cryptocurrency’s team launch a “crowdfund contest” rewarding users who donated a specific amount of Verge. In the end, most donated XVG didn’t come from the community itself, but from another crypto project, TokenPay. So far, it’s known that the partner, according to Verge, owns a “vast network of super high traffic websites.” After the crowdfunding target was met, hype took over the Verge community and the cryptocurrency’s price started surging. When the partnership is revealed on April 16, a global marketing campaign is set to take place. 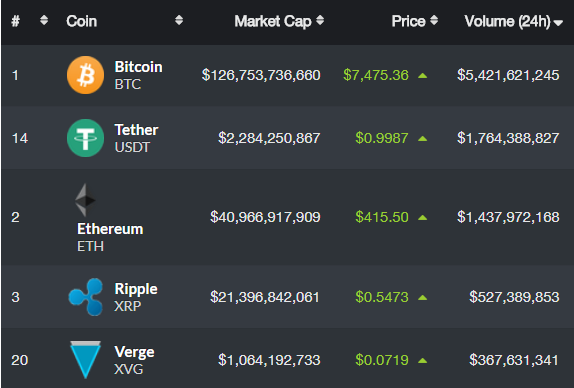 The cryptocurrency’s team has in the past claimed the move may see Verge become one of the top five or top 10 cryptocurrencies by market cap thanks to the amount of new users the partnership will bring in. At press time, Verge is up by about 58 percent for the week. For a brief period of time, the privacy-oriented cryptocurrency was among the top five by trading volume, as the volume surpassed $360 million in the last 24-hour period. The ordeal saw Verge hit a $1 billion market cap as one XVG token is currently trading at $0.061. On Reddit, users are speculating what the mysterious partnership is all about. While some theorize major pornographic website networks may be about to jump in on the crypto space through Verge, others point out there are various red flags within the crowdfund itself, potentially meaning a scam is on the way.